When we experience the magic of love in the universe we feel a lightness of being. A wondrous epiphany of higher frequency potential. A connection to everything, fear evaporates and knowledge takes its place. Seeing the magic of love in our own lives is just as profound for our holistic growth as multi dimensional expansion. Connecting to our own lives, to the love vibrations in our own world grounds and expands us simultaneously. Being selective about who or what we think about, feel and experience is key to this mindful expansion. Removing stress, fear, competition, manipulative and fake people from our lives enables this mind body spirit recalibration. Turn off mainstream media. Step away from folk who make you feel bad about yourself. Show yourself some respect and love. To lose ourselves in fifth dimensional frequencies, can for some, lead to neglect of the present, to seek escape from the third dimension. Our bodies exist here, our families and friends, our passions and missions are here. We plant our feet firmly on the ground of Gaia, channel her love frequency, nature’s vibration. She is part of our growth. We can become quantum, fluid beings. As our chakras align, expand and strengthen we stretch, lighten and become more flexible. This evolution of our bodies is hampered by matrix toxins. Processed, fake, plastic food literally weighs down our body, keeping our vibrations lower. Solar plexus and sacral chakra health, particularly, can be held back, blocked by these toxins. Water is the gift from Gaia to flush out our systems, clean us from the inside our, rehydrate us and refresh us. Replacing fizzy drinks, high sugar drinks and energy drinks with water (add fresh squeezed lime or other fruits) is like waving a magic wand over our health. We look cleaner, fresher and healthier on the outside and our systems flow smoothly and with ease on the inside. 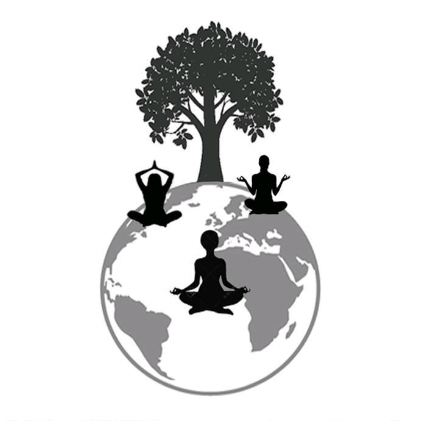 Becoming one with our day to day lives, mindful, grateful and present is just as important a part of our transition as meditating higher frequencies and recharging in nature. Alignment comes from the 7 main chakras being in harmony with each other. This process is natural, organic, predicted and necessary for the survival and evolution of Gaia and humanity. Let the bad stuff go, release it from our lives. Fill the spaces created with good food, good people, good living. If we take care of ourselves from the inside out we manifest this into our lives. 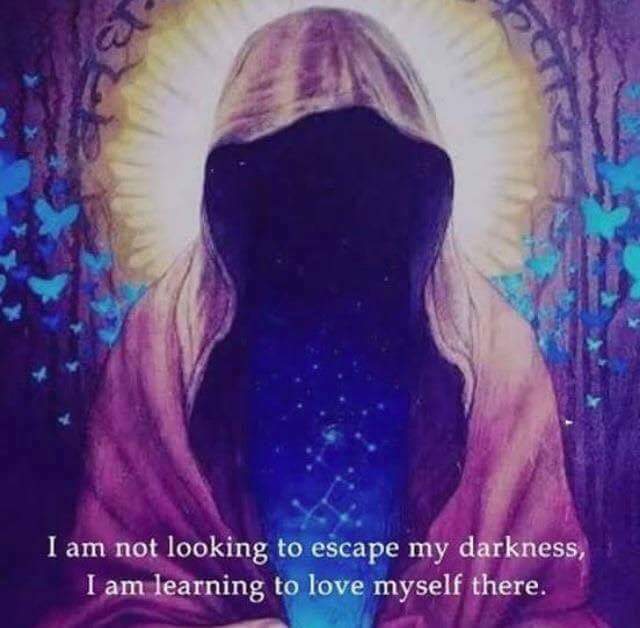 Learn to receive love from yourself and from others. We are all worthy of self care, mind, body, soul nourishment. Take it eazy beautiful people. Namaste. The human experience of reality in the early 21st century is known as the matrix, maybe a computer programme, a holographic universe, the third dimension. As Morpheus says in The Matrix ‘everything you see around you is the matrix’. Keyword see. With the eyes, not the soul, our third eye, our heart or energetic frequencies, we are programmed to discount these. The matrix strips us back, disconnecting us from our spiritual whole self. The matrix aims to control, to manipulate our thoughts, feelings and existence. It wants us to be drones, sheeple: to work 8 hours, sleep 8 hours and play ie buy/spend for 8 hours. It is hardwired with traps, pitfalls, ways to capture us and lock us down if we question it too loudly. The system micromanages us, particularly the west with our nanny state, cctv, drones, pharmaceutical industry and beaurocracy. Orwell’s 1984’s grim vision of an oppressive future was not far from where we find ourselves. To survive we need to get spiritualised. Whatever our preconceived understanding of that word is. To counterbalance the harsh reality of a planet under siege, we need to connect, get spiritual. There is love, gratitude, hope and compassion at the heart of most earth religions. Find the heart in yours. Or step out of organised religion and find your own brand of spirituality. There are no rules, only love, peace and empathy. 2. Try to keep your diet toxin free and clean. This is a tall order in the matrix where you may be mocked by friends and family for refusing to drink fizzy drinks, eat at MacDonald’s (frontline food weapons distributor) or consume copious amounts of alcohol. The kabal are on shaky ground, they know it, we know it. Who doesn’t know about Bohemian Grove, The Bilderberg group, the Rothschilds and the 12 families? So maybe stealth mode is not always necessary. Be mindful, practise being in the present, detaching from anxiety about the past or worries about the future. Children, nature, friendship, good books and creative passions are excellent ways to keep us focused on the now. This takes daily practise and progress can be slow at first, setting focused intentions at the beginning of each day can help with learning to see our own power in manifestation. Avoid trying to escape too much, the spirit once awakened and realising its in the third dimension, which can be brutal, harsh and painful, compulsively wants to escape. It can achieve this through tantric breathing, opiates, meditation and lucid dreaming, to name a few. We are a trinity being – mind body soul systems, each element in balance with the others. This balance comes from moderation, core grounding and chakra alignment. The natural organic evolution of Gaia and the beings travelling with her lends itself to a bumpy ride. Yet we each chose to be here. Teachers, warriors, shamans, free thinkers, rebels and healers. We have a mission. To fulfil that mission and raise the frequency in our little sphere of influence is to learn how to play the matrix game, navigate cosmic storms whilst remaining stable and mindful in the third dimension. We can all be karmic Neo. We can all stop bullets, learn kung fu and rock a leather coat if we choose to! The ripples have started friends. They will become waves as we get closer to the cosmic trinity of snow moon, lunar eclipse and the New Year comet. We will experience the ebb and flow for the next few days. Zone into the frequencies. Find quiet space to tune your system. If you feel ready, ask, with the protection of your guides and higher self, for appropriate upgrades afforded by this trinity. Ask consciously in your head. Share gratitude and love. Then kick-in some self care. Create space to let your system transition, your DNA come online. Cellular recalibration is a powerful process to be treated with respect and care. This means treating yourself with respect and compassion. Allow mystery and magic into your existence. See the walls of reality bend and fluctuate. Feel the inconsistency of time. Hear your guides and understand their messages. Drop your avatar guard and open your mind, heart and soul to cosmic evolution. We have an opportunity to ride the comet’s propulsion, quantum leap through opening stargates and portals. The veils are already thinning between the worlds. Sensitive people will be aware of movements on their peripheral vision, sounds that are unfamiliar, lights, flashes, popping ears, heavy limbs and sudden headaches. Animals and birds behaving strangely. Some people seem to not see you, look straight through you, bump into you and still not register your presence. We are transitioning in frequency at different rates. We see and hear what is on our frequency. We are recalibrating, moving and shifting on the frequency spectrum. Each wave offers us the chance to fire up a few more DNA strands, expand our minds, strengthen and align our chakra system. Releasing karma lightens our system, helping us tune into higher frequencies. Our bodies are changing. We are becoming more flexible, fluid, lighter beings. Detoxing from the density of the third dimension is a holistic process. Each chakra opens, unblocks, releases and expands. The effect on our mind body soul system is profound. The current waves of higher frequency energy are activating our throat and heart chakras. To maintain balance during this process focus on strengthening your solar plexus to stay centred and grounded. Slow down. Let the waves roll over you and through you. Be still. 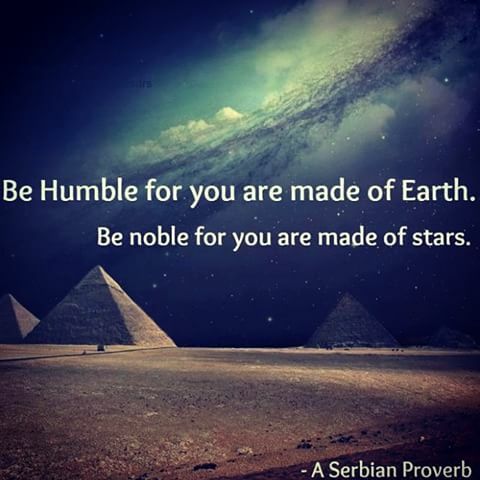 Embrace a higher way of being, an expansive universe of promise and potential. See beyond the walls of the matrix. Let the release come from your root and sacral chakras. They will heal as they clear and balance. Breathe long and deep. The multi verse is sooooo lovely and fascinating. There are oceans and mountains and forests of learning, lifetimes of exploration. Dipping our toe in the waters of the multi verse, our third eye opens. It all begins to make sense. 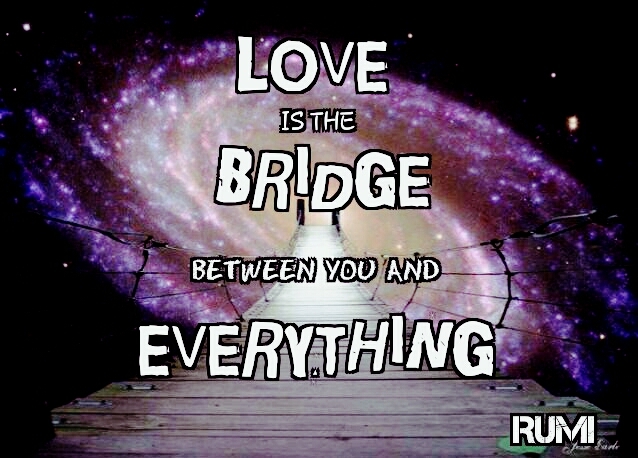 Love is the universal frequency, the energetic thread that connects all things. To be connected, part of this bigger multi faceted picture, is to know there is more. To be awake. To be aware of the power of our thoughts and feelings. We create our reality. We manifest our inner world. By tuning into and creating peace and love in our hearts we can change our world. Mantra: I am an earth warrior, I connect to universal love frequencies, I anchor my light to Gaia’s grid. February’s full moon marks a major event in our current cosmological growth spurt, a full Snow Moon, lunar eclipse and the return of the New Year Comet. Full moons bring rays of higher frequency energy. They cleanse us, power us up and offer us the chance to manifest our dreams at an accelerated rate. Connect to gratitude under the rays of Saturdays Snow full moon. If these are the End Times then they are also the Beginning Times. The lunar eclipse creates space for darker energies to transmute and dissipate. Lightening our karmic loads, raising our vibrations and opening our third eye and crown chakra to the mysteries and magic of the moon’s cosmic rays of love and light. The New Year comet flew past 2016’s new year full moon, leaving trails of blue green gases and dust in its wake, kickstarting realignment. Blue and green are the colours of the heart and throat chakras. The comet’s cosmic propulsion catapults us through gateways to higher frequencies and dimensions. Activating further quantum upgrades and expansion of ours, and Gaia’s, heart and throat chakras. Some of us lived it, some of us felt it, some of us knew it was there but couldn’t name it, some rejected it, others channelled it. Triggering accelerated cellular recalibration, spiritual awakening, unplugging from the matrix. Shadow work, meditation, soul tribe and nature charge-ups aided us in this profound evolutionary process. Becoming quantum beings is the process we are in, ascending to higher frequencies with Gaia. Shedding hate, fear, greed, paranoia, narcissism and deep rooted insecurities along the way. Aligning our chakras for maximum balance, harmony and equilibrium. The trinity of snow full moon, lunar eclipse and New Year comet heralds the opening of doors or portals for humanity. Portals to other dimensions. The gateway is our heart chakra. To live in love is to be love. It is to create love. The key is our throat chakra, learning to shed our matrix avatar and step into our true authentic selves. The new year comet’s energetic propulsion powers us up for these stargates and portals. Lightworkers be proud of your work. The stand you have made to be your authentic selves. The learning, the growth, the release, the highs and lows and the sharing of light has helped guide and heal many awakening people. Our ascended beings are deeply moved by the comittment and love shown to humanity. We are all on our own journey, our own path of awakening and ascension. We help each other. Step out of competition, division and synthetic programming. Unplug in love and peace. Humanity’s time is now. We are here to awaken, grow, evolve and step into our true power as free people. Find space this weekend for quiet reflection, meditation, self care and expression. Set focused intentions. Light a candle, breathe deep, connect and manifest love. Love in your life and love on Gaia. Exciting times lie ahead friends. Bring on the new energies, the stargates and portals! Embrace, integrate, upgrade, illuminate and manifest light on Gaia. Namaste. The world is waking up fast. The veils being lifted. People can no longer hide from what they are seeing. How do we wake up, unplug ourselves and not crash, as Neo did? How do we see the world as it is and not hit overload? How do we manage seeing our own identity with clarity and not crawl into a cave of shame? 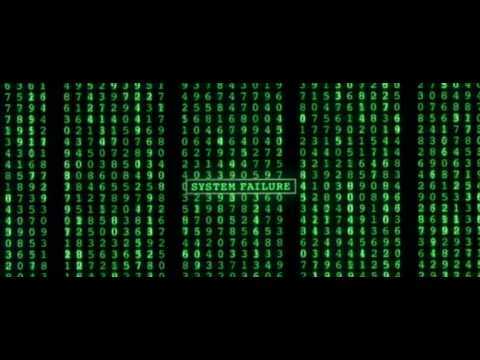 How do we reconcile life in the matrix with sovereign morality? Recognising we have been manipulated, bullied and oppressed is very hard. Accepting past behaviours born from dark places will be hard to digest as we integrate our activated heart chakras. The matrix is the pleasure dome and many have lost their moral compass here. Recalibration offers us the chance to release bad karma, lighten our vibrations and move into the universal love frequency. There are ways to ease our unplugging, things we can do to cushion ourselves from the impact. 5 Ways to unplug from the matrix. 1. Research everything. Use the internet as a vast library. Validate sources. Double check. Follow the white rabbit down the rabbit hole and see where it leads you. Ask the question. What is the matrix? 2. Begin to identify triggers, distractions, cover ups and manipulation. Open your eyes to the programming in religion, advertising, mainstream media. 3. Become aware of your behaviours in daily life. Your stress points, your dilemmas, your pressure and decision points. What affects you? Try to see a flow, a groove of being, this helps you be aware. 4. Begin to change your behaviours. What you eat, watch, read, say, do. It will all come under scrutiny as you wake up and relearn who you really are, unplugging the matrix avatar of you. 5. Get spiritual. Wake up your third eye. 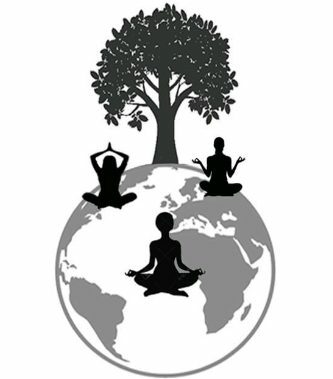 Unplug your chakras through meditation, exercise, nature and clean living. We understand more than we realise. Cognitive dissonance can last a long time. Survival dictates we employ a filter system to hear only what we can process. Waking up is hard to do. We can only take on so much at a time. This subconscious censoring is vital to surviving unplugging. Overload is to be avoided. It may seem like you are crashing but the shadow work that goes hand in hand with waking up is excavating old dense stuck karma, it will feel very dark at times. Push through, it will pass. Practise mindfulness. Meditate. The offset to the crash (Neo overload) as the veils lift and we see the layers of horror employed by the kabal to maintain their position of power, is raising our vibration. If we don’t balance the awakening with energetic healing and realignment we may crash altogether. Don’t give into despair, fear or anger, let love come into your life. 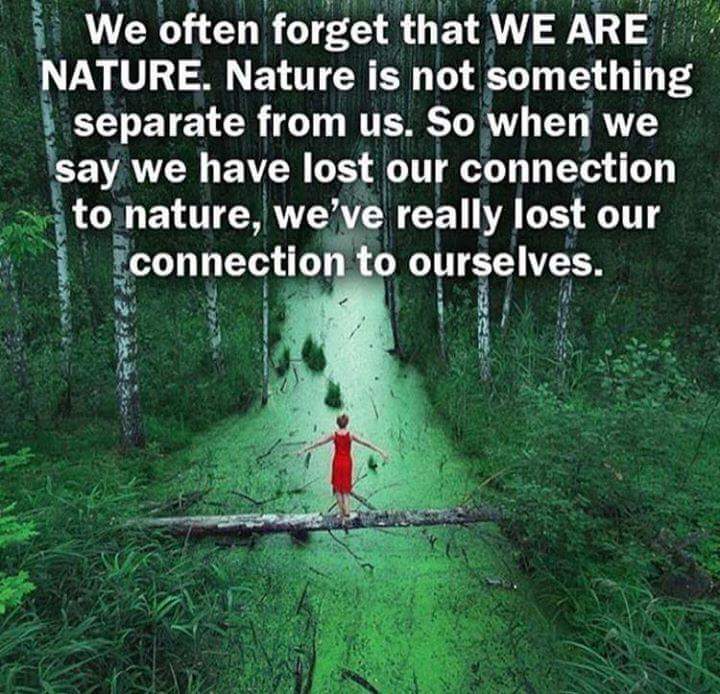 Begin to see the beauty in the seasons, feel present and connected to your life and Gaia. Use healing therapies as support through the process. As we strip back the conditioning you gain so much sovereignty, connectedness, self knowledge and belief. These rewards are beautiful. We are part of a vast interconnected intergalactic multi verse. This is not to be feared, this is to be embraced. We are not alone. We are about to take our rightful place on the real world stage, to hear and be heard. These are exciting times friends. Ride the waves safely, get help when you need it, embrace being alone. The time is coming when our collective consciousness will manifest the new earth, let’s make it magical. Love and light beautiful people, namaste. The waves rise high, building towards multi dimensional heights. We ride the waves, releasing toxins, trauma and tears. We feel our consciousness, our hearts, our core expand. Integrating cosmic upgrades to our mind body soul systems. Realigning our chakras, our bodies becoming more flexible, our hearts lighter and our ego’s pacified. As the waves soar we rise to the flow of energetic light love frequency. And then we crash. The wave rises, soars, surges and finally dips. The third dimension crashes in on us. Heartache, fear, worry and stress can overwhelm us. We can go under. We can flounder. We can panic and lose our balance, our equilibrium, our core strength, gasping for air. This experience of the waves crashing back into the ocean is organic and necessary. To ride the heights of the wave forever would be to lose our centre, our feet, our grounding. Crashing back into the depths of the ocean is an organic part of these powerful energetic upgrades. We can feel lethargy in our limbs, our minds can feel spacey and blurry, our hearts heavy and wrung out. Yet this too evens out. The seas eventually calm, we rise back to the surface, breathe in the sunlight. We can float, relax and rest, allowing the energetic upgrades to take root, synthesise, fuse, integrate and consolidate. Like ping pong balls bouncing up and down the frequency spectrum, we get pulled up as the waves build in momentum, the power raising our vibrations, triggering release of karmic load, then we come back down to the matrix reality. Riding these waves of awakening and ascension is challenging, exhilerating, frightening and ultimately empowering. Seek balance and alignment in our chakras during and following each cosmic wave, through nature, soul tribe and meditation. Go for walks, have baths, relax and recuperate. Recalibration is a deeply intense, powerful and mysterious process. Allow time to process, integrate and consolidate realignment. Breathe and releeeeaaaase. Meditate, connect, channel the universal love frequency. Mantra: I strengthen my core, I open my heart, I step into my power. Namaste. Make friends with your shadow self. When we oppress or push negative feelings down into ourselves we are storing them. The emotion is energy that can harden if not released. Dense, dark energies make us ill. 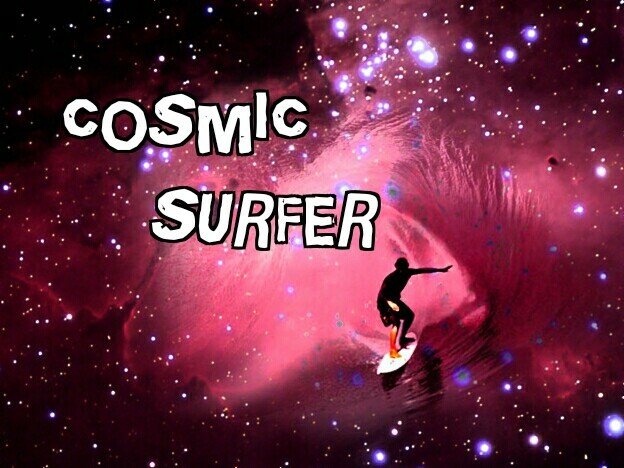 The cosmic waves are intense at the moment. Be kind to yourself. Trigger release with films, music, memories and personal mementoes. Turn to loved ones for support. Find love in yourself. Forgive yourself. We are all flawed beings, learning by trial and error. We make mistakes, it’s ok. Some of us are experiencing crunch times in our lives, something that has dominated our lives in a negative way. We may feel in limbo waiting for something to finally be resolved. We are being given the opportunity to face our fears, take a stand and push back on what it is that has been holding us back. Redefining our sovereignty through boundaries of self respect. Recognising our vulnerabilities, accepting our weaknesses, owning our actions and changing big stuff in our lives is ultimately liberating. Endings are always beginnings. Letting go of harmful energy from people or places in our lives makes space for more authentic, nourishing people and places. These quantum upgrades require energy, trigger release and promote growth. We have the oppotunity to find our faith. Our faith in ourselves. Our faith in a deeper, mystical and magical world. Our faith that everything will come out in the wash. All the dirt, grime, grit and sticky energies will be cleansed and cleared from our mind body soul systems. Focus on chakra balance through clean living, rest, creativity, nature and meditation. Don’t run away from the dark stuff. Find the balance between release and being in the present. Know that when we come from a place of love all things will manifest as they should in our lives. Upgrades of our heart and throat chakras continue. To create free flow of energy through our chakras, blockages need to be released. The energies must loosen and shift. Cosmic waves of awakening are triggering this process. Our heart is blocked by fear, guilt, shame, anger and bitterness. Our throat chakras are blocked by insecurity, self doubt, anxiety, ancestral fears and matrix labelling. Not being able to express our true selves causes the throat chakra to harden, stiffen with heavy energy. This blocks the flow preventing balance and openness. Moving to a place of love in our lives opens our chakras and helps us clear each one. All is manageable from love. Breathing long, deep and slow raises our vibrations, loosening dense pockets of negative emotional energy. Don’t be afraid to cry. Don’t be afraid to feel sad. Do know when it’s time to get up, have a cuppa, phone a friend, walk the dog, hug a loved one, cook a meal. Knowing when to stop is as important as understanding when to release. Seek guidance in meditation from higher self and guides. Gently does it friends. These are stormy energetic seas we sail on. Stay calm. Connect to your higher self and guides. Stay centred and grounded beautiful people. Whilst the waves are high and powerful like they are now make self care a priority. Get spiritual and we will rise above these dark, dense energies, release them and fly higher as lighter, more evolved beings. Namaste. Our throat chakras are being upgraded. We are finding our voice, as a people, and as individuals. Open your chakra by raising your chin, breathing into throat chest stomach and releeeeaaaase on the exhale. Let the chakra breathe, balance and strengthen. Meditating love light into our solar plexus, as we ride soaring cosmic waves, helps to steady our system and centre us. Strengthening our legs and feet helps to ground us. Nature grounds us brilliantly. Engages our senses, keeping us mindful, present and grounded. Channelling the universal frequency of love, through meditation, is like a spa for the mind body soul system. A deep cleanse, release of toxins, balanced, refreshed and powered up. We are growing metaphorical wings, becoming lighter, more fluid beings. If we let the force in, it will lift us to higher frequencies, dimensions of peace and compassion. Strengthen our voices, stand our ground, breathe into core, and create space for this quantum recalibration. 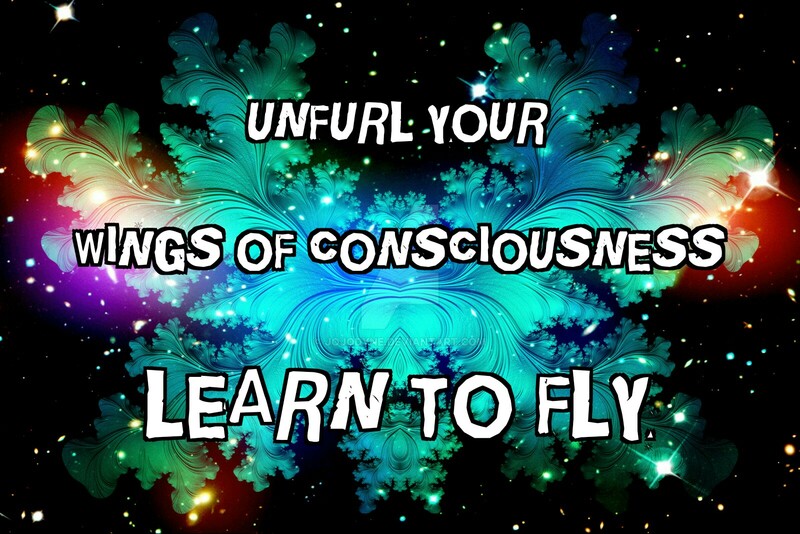 We’re learning to fly friends, discovering our wings, embrace this transition in peace and love. Namaste.